Not long ago the Bettina team were blessed to be introduced to young Jack Radford, his infectious smile and warm nature quickly won us over and we were very pleased to have him on board. But nothing compared to our excitement when he was booked for his first job with none other than Target Australia! We sat down with Jacks mum, Natalie, recently to have a chat about her experience working on set with Jack and her hopes for him in the future. Tell us a bit about Jack! Jack is 3 years old and the baby of the family being the youngest of 5. Our Jack was born at 35 weeks after suffering a stroke in utero at around 33 weeks, he was born with cerebral palsy mostly affecting his lower limbs and moderately in his left hand. Jack is a very charismatic and loveable kid with a cheeky smile (but I am biased), we are very blessed to have him in our lives… He has already overcome so many obstacles to do what he can. My husband and I were told right from the early days that we should not expect that Jack would ever do much at all, meaning he may never talk, walk sit up and possibly be plagued by many other conditions that can be associated with having cerebral palsy. Our family has always encouraged Jack with early play therapy and interventions to help him achieve goals..we have the mottos of “never say never” and “expect the worst and hope for the best”. We focus on what he can do. Jack has taught himself to sit up in the last month and hold a sitting position, he commando crawls & and of course can talk and hold a conversation like a married magpie. Jack is also now the first proud owner of the first infant power chair in Victoria called a Wizzybug made possible by Yooralla for which we are so grateful for as it has given him so much independence. Jack has also taken on his role as spokes-kid for Wizzybug quite seriously as he stops everyone he meets and tells everyone about it. Why did you decide to get Jack into modelling? 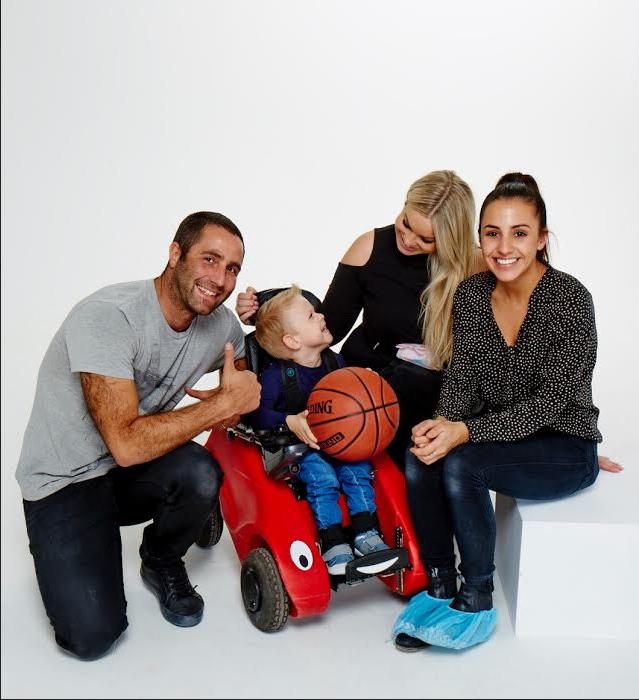 In November, Jack was asked to be the Christmas appeal child for Yooralla to help raise money for more Wizzybug power chairs, the photoshoot went so well the pictures were stunning and of course Jack loved smiling and showing off for the cameras. It had been suggested to me that Jack would be great at this kind of thing because of his nature, and of course we saw the Easter catalogue with the young man in his frame posing with the Easter eggs, which reaffirmed that yes Jack can do this. Having a “differentability” should have no boundaries…I really want society to see all people as being special and unique and Jack has a voice, so as long as Jack is happy that makes us happy. 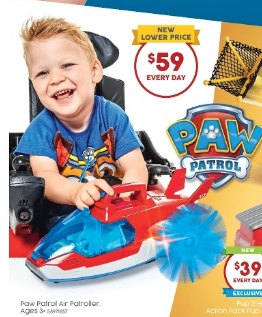 On a side note, equipment for Jack is very expensive and we are doing our own personal fundraising to help with the purchase of a wheelchair accessible vehicle so every little bit Jack makes from modelling will go back into a lot of his needs. Did you have any expectations when you first applied to the agency? Have things turned out differently than you expected? I did some homework on reputable agencies and came up with Bettina who have made the experience fantastic so far and have embraced Jacks condition. I will admit I really wasn’t sure as to what to expect, prior to coming down to Melbourne for our initial interview, I was a little concerned about all the what ifs… But I should never have worried as Bettina have made the process very easy and have gone out of their way to give Jack the greatest attention. Jacks first job was with Target. How did you find the whole process? The initial shock of getting a job for Target was so exciting! The Bettina girls were great, they explained things to me well, looked into my queries about disabled parking everything was smooth and well planned. No hidden surprises and being a toy catalogue that made it even more special. The feedback from Jacks photoshoot was so encouraging and positive and Bettina relayed the feedback it validated that we had made a good choice in letting Jack “have a go” . What did Jack think about his experience on set? Oh my!!! Jack was in his element. I think he thought he was some kind of celebrity, he had the photographer and stylists laughing and playing with the basketball & was even having his photo taken with the photographic team. Jack was made to feel very welcome and looked after very professionally. I loved the way he was given such a fantastic experience and he fitted in so well. How do you think working in the industry will help Jack in his life? Firstly, if Jack said to me tomorrow that he didn’t want to do it anymore, I would respect his wishes because Jack has a voice. But that is what I want to foster in Jack “that voice” that says he can and so can others. Modelling can also act as a therapy in that it keeps his mind and body active and let’s him speak to others about being different but being treated with dignity and that our society should be accepting of all our differences regardless of disability. Jack has already asked when the next one is. So of course I hope that one day branch out from modelling to maybe tv but all in good time and only if he wants too. Finally I really want to personally thank Target for choosing Jack to be in the upcoming catalogue we can’t wait to see it. 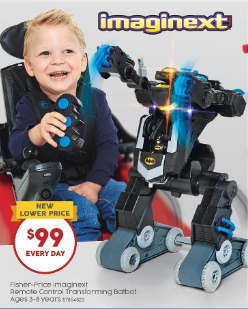 I thank you for letting Jack show the world what is possible and that its all kids that play with toys and wear clothes regardless of disability and we look forward to working with you again.